No matter what is going on in your life, it all comes down to perspective. There are many different analysis and symbols scholars pull from the poem, but few can dispute the outward symbolism of the Raven, and his mocking tone towards the young man, grieving over his lost Lenore. Yup. That is how long my Nanny lived to. She passed away on February 23rd at 94 years old. Can you even believe that? She was born in 1916, and lived a long, full life. One of the support groups that my Mom and I attend, have a giant book of all the children who passed away. My Mom wanted to add Jen to the book, and I said I would help. So, I got the coolest thing ever the other day, and I have been patiently waiting to share it will all of you! 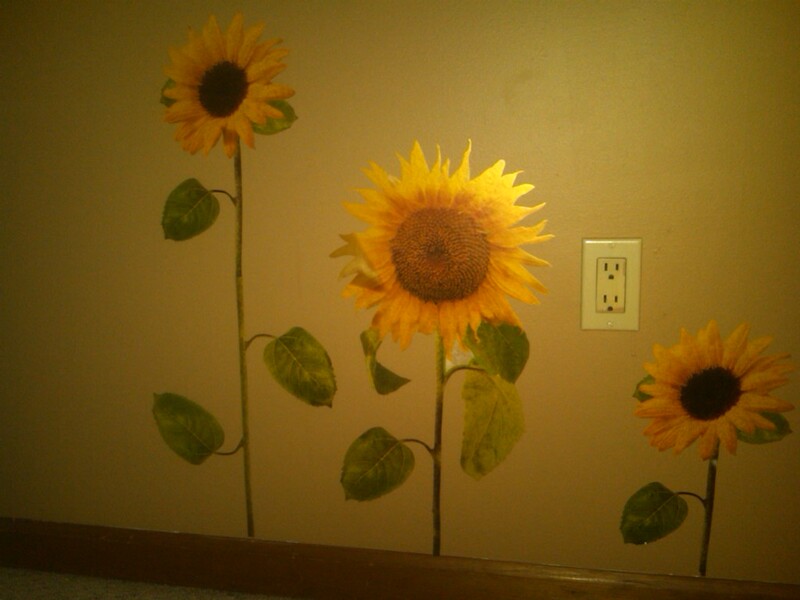 I got huge wall stickers that are sunflowers. I had to wait to put them on my wall, because I had all the Christmas gifts up against the wall I wanted to put them on. But I finally cleaned my room, and put my sunflowers up, and they look so beautiful. Want to subscribe to this blog and receive notifications of new posts by email?